In the mind of many people interpreting is the same as translation. However, these processes require a completely different set of skills and generally linguists tend to specialise in one of them. Moreover, there are different types of interpretation services (legal, conference, community interpreting) and interpreters are likely to choose those they feel most comfortable with. Conference interpreting, in which I received an extensive training during my Master’s degree, is a simultaneous activity where the interpreter is in a booth and interprets between two or more languages, usually both ways. This service is suitable for bigger meetings and events. 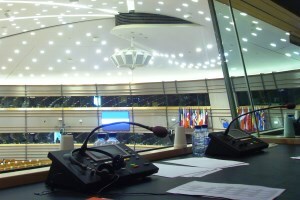 I am specialised in conference interpreting with French and Bulgarian. In consecutive interpreting, the interpreter is in the same room as the attending audience and interprets every few sentences, usually one way. This service is more convenient for presentations before a small group of people or for short opening/closing speeches. 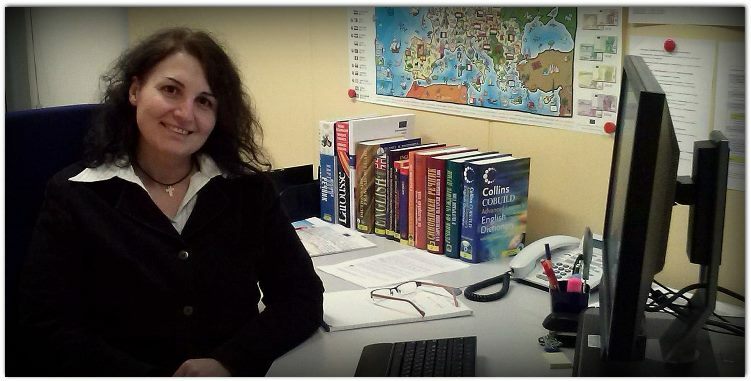 I provide this service for the language pairs French to Bulgarian, Bulgarian to French, and English to Bulgarian. Liaison is a subtype of the consecutive, where the interpreter participates in exchanges between a group of people, which implies a bidirectional interpreting activity. I can offer this service between French and Bulgarian. Still, should you need English interpreters, I will gladly recommend colleagues with an advanced expertise. Chuchotage (whispering) is done in a simultaneous way for one or two speakers by whispering in their ear, for example for conference speakers while they get introduced to the audience by the organiser. Chuchotage is usually part of an assignment of escorting where the interpreter accompanies and assists her client(s) during their stay in a foreign linguistic environment. I can offer escorting services which may also include organising the stay and tour guiding.